That's all folks, they are out of stock. Sorry if you missed the deal. 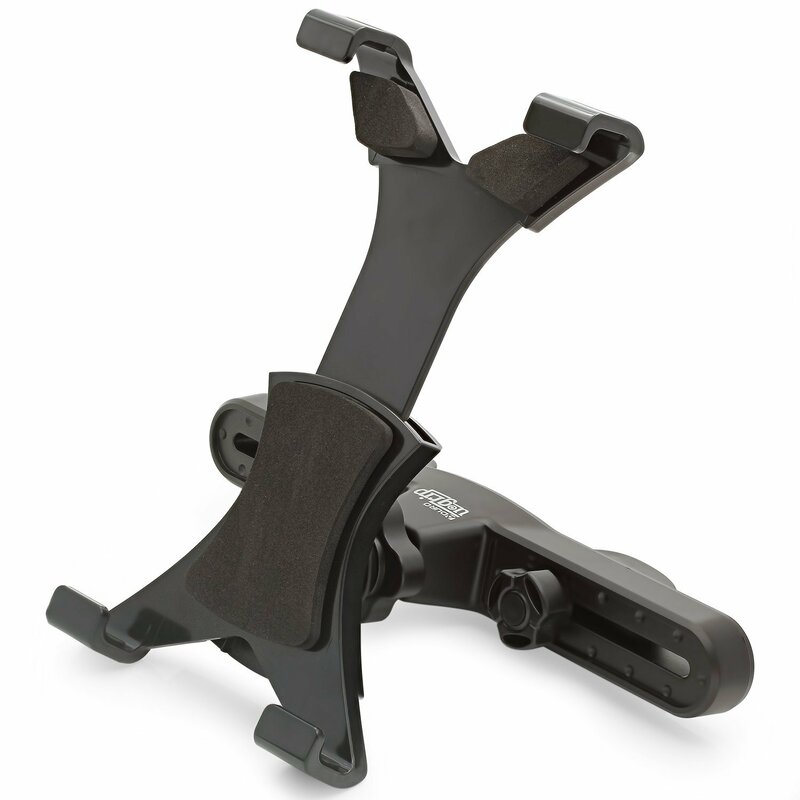 Amazon has a great deal on the Aduro U-Grip universal car headrest tablet mount today. The mount normally costs $13, but after applying a coupon code you can pick one up for just $8. A tablet set in a mount like this can be a huge help in maintaining sanity among the kids in the back seat while on a family road trip, especially when paired with some bluetooth headphones and a high speed USB car charger. I guess one of these would also work great to make your next Uber taxi ride a little swankier. A headrest mount isn't a terribly complex device, but this one does have a couple of noteworthy features. The Aduro U-Grip has impact absorbing extendable arms that fit any tablet from seven to ten inches and swivels 360° to accommodate either landscape or portrait viewing. It has a 4.6 star rating on Amazon where it is the number one seller in tablet stands. Don't forget to enter the discount code R68ABE28 at checkout to drop the price to $8. Happy travels.